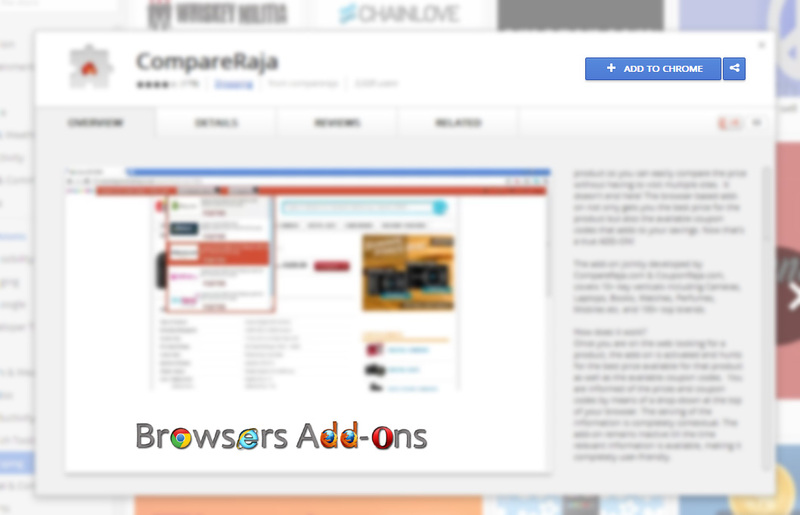 CompareRaja extension for Chrome lets you compare prices, find coupons and deals from popular Indian e-commerce sites. 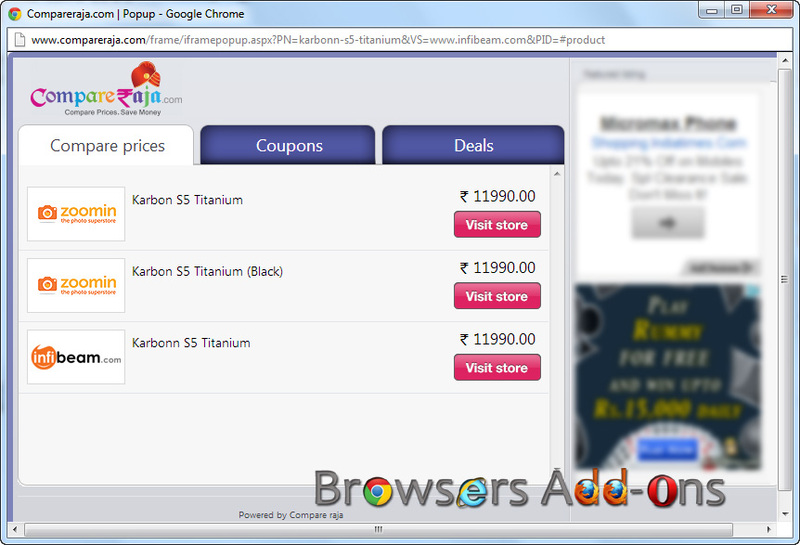 CompareRaja is an extension (add-on) for Google Chrome developed by CompareRaja.com and CouponRaja.com which helps the e-shoppers to compare price of specific product across several Indian e-commerce website like flipkart and Infibeam. As the add-on is still developing, you can’t compare price of each and every product but CompareRaja claims that it covers major products like Cameras, Mobiles, Laptops, Books, Watches, Perfumes and more. and 100+ top brands. 1. 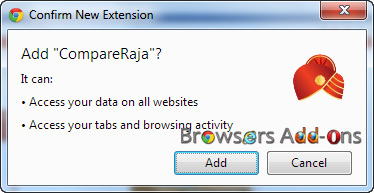 Go to Chrome web store an search for CompareRaja, or simple click on the above download link and click on “ADD TO CHROME“. 2. Now, Google Chrome asks for user permission to add extension to the web browser. 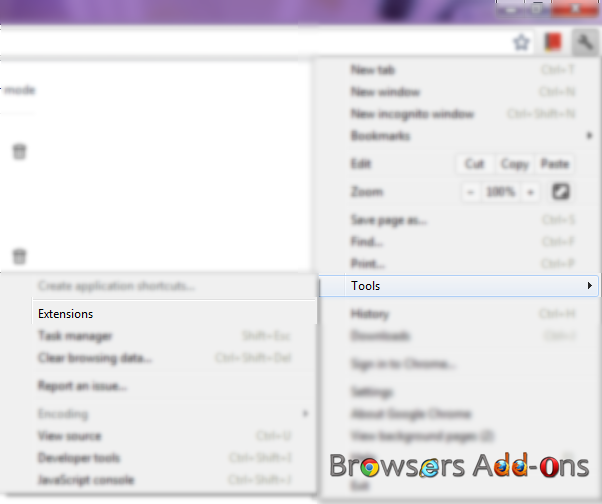 Click on “Add” to install extension to web browsers and “Cancel” to stop the installation process. Chrome also displays, what the extension might access on the web browser. 3. Now, a message pop up appears at upper right corner of browser, indicating that the extension has successfully integrated with the Chrome and you will re-directed to add-on’s homepage. 1. When ever you visit and e-commerce (online shopping) website, compareraja bar pops-up right below the URL address bar. When you are on a specific product page, for example, here I am trying to compare the price of a mobile phone. When I click on “Compare prices”, a box pops-up with comparison among other sites. And you can find any coupons, if applicable and deals in the same pop-up box. 2. 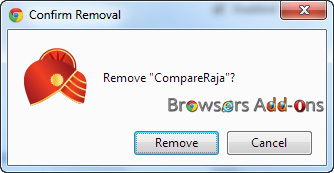 Now, un-tick the CompareRaja to temporarily disable the extension. Click on the dustbin icon and you will be greeted with pop-up, click “Remove” to remove the extension from Google Chrome. Mozilla Firefox 23 goes live with New Logo. Quick Maps extension for Chrome lets you see address via Google Map without opening it. Manage multiple Gmail accounts right from the browser tab using Gmail Manager for Firefox. Next story Mozilla claims that UK based cyber surveillance company is using Firefox for espionage. Previous story Security analysts study finds that Google is better than Bing at avoiding malicious websites. How To Add Restart Button in Mozilla Firefox. Bluehell Firewall, lightweight Ad-Blocker addon for Mozilla Firefox. 365Scores Notifier addon for Mozilla Firefox will feed your Sports news, scores hunger. Get Grammar assistance on web with Grammarly Lite – Smart Spellchecker extension for Google Chrome.